* With high anti-static performance, this Screen Guard Protector Film can remove glare, improve contrast * It is very safe to use and has no adverse affect whatsoever on your equipment * This will protect your screen from scratching and normal use damage * Screen Protector Dimensions:13.50 x 7.56 inch / 34.3 x 19.2 cm(L x W) * Material: PET * Use Step: 1. Measure the size of screen guard and screen 2. Mark the screen guard for cutting 3. Cut out the screen guard 4. Clear the screen carefully, remove the dust and contaminants 5. Peel off the label No.1 layer half of screen guard 6. Stick the screen guard carefully and slowly 7. Peel off the label No.2 layer * Package Included: 1 x 15.6" LCD Laptop WideScreen Matte Protector 1 x Clear Cloth MPN No aplicabl. BROTECT® AirGlass®, el Protector de Pantalla de Cristal Vidrio Premium: el colega Extra-Duro y Ultra-Ligero para tu dispositivo! Vídeo de Producto BROTECT® AirGlass® Protector Pantalla de Cristal Vidrio Premium - YouTube. ((2) Para algunas categorías de artículos el vendedor puede poner los artículos que se ofrecen con la opción 'sugerir un precio'. Se le notificará de cualquier retraso o cancelación de su pedido. intereses) deberán ser restituidos. 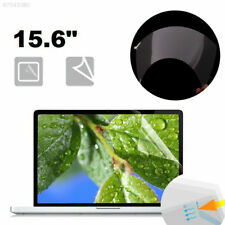 Anti-Glare Filter for 39.624 cm (15.6") Widescreen Laptop. Display and device technology continues to advance. Amazing optical technology from 3M diffuses mirror-like reflections to help keep what’s on your screen clear and visible, while providing a layer of protection from dust and scratches. Compatible Model: Smartwatch Moto G6 Plus. Surface hardness: 9H. Anti-Scratch: 9H hardness glass protect your screen from scratching by iron products like knives or keys. Thickness: 0.26mm ultra thin. This allows you to install the film much more easily and easily combine it with a protective cover. [9H Super Hard] --- Screen protector made of glass with 9H hardness, protect your cell phone from scratches. Mide el tamano del protector de pantalla y la pantalla. Este protector de pantalla de prevencion de la miopia pelicula puede proteger sus ojos. Corta el protector de pantalla. Esto protegera su pantalla contra aranazos y danos por uso normal. Mide el tamano del protector de pantalla y la pantalla. Este protector de pantalla de prevencion de la miopia pelicula puede proteger sus ojos. Corta el protector de pantalla. 3X(Buen proteccion para su pantalla LCD de ordenador portatil y cuaderno portatilDurable, lavable, reutilizable sin residuos durante la extraccionComo la misma pulgada, larga y ancha es diferenteQue tomaremos nuestra dimension para el estandarEste protector de pantalla de prevencion de la miopia pelicula puede proteger sus ojosCon un alto rendimiento antiestatico, este protector de pantalla de pelicula protectora puede eliminar el deslumbramiento, mejorar el contrasteEs muy seguro de usar y no tiene ningun efecto adverso en absoluto en su equipoEsto protegera su pantalla contra aranazos y danos por uso normalDimensiones de protector de pantalla: 13.50 x 7.56 pulgadas / 34.3 x 19.2 cm (L x W) Material: PETUtilice el paso:Mide el tamano del protector de pantal. This is to safeguard the best interest of both parties. 0.2mm thick film, lightweight, anti-scratch and durable;. Filter 90% UV, low reflection, wide field of vision;. 90% UV absorption, make your screen bright as new;. This is to safeguard the best interest of both parties. Filter 90% UV, low reflection, wide field of vision;. Screen ratio: 16: 9. 90% UV absorption, make your screen bright as new;. 0.2mm thick film, lightweight, anti-scratch and durable;. This is to safeguard the best interest of both parties. 0.2mm thick film, lightweight, anti-scratch and durable;. Filter 90% UV, low reflection, wide field of vision;. Screen ratio: 16: 9. 90% UV absorption, make your screen bright as new;. This is to safeguard the best interest of both parties. 0.2mm thick film, lightweight, anti-scratch and durable;. 90% UV absorption, make your screen bright as new;. Screen ratio: 16: 9. Filter 90% UV, low reflection, wide field of vision;. 0.2mm thick film, lightweight, anti-scratch and durable;. Screen ratio: 16: 9. Filter 90% UV, low reflection, wide field of vision;. 90% UV absorption, make your screen bright as new;. PET material, texture and light, good light transmission, clear experience;. This is to safeguard the best interest of both parties. Filter 90% UV, low reflection, wide field of vision;. Screen ratio: 16: 9. 90% UV absorption, make your screen bright as new;. PET material, texture and light, good light transmission, clear experience;. BROTECT® AirGlass® Premium Glass Screen Protector, the Extra-Hard and Ultra-Light sidekick for your device! Product Video BROTECT® AirGlass® Premium Glass Screen Protector - YouTube. P.S. : Our sidekick BRO is made of real glass and still flexible! Screen ratio: 16: 9. Filter 90% UV, low reflection, wide field of vision;. 90% UV absorption, make your screen bright as new;. We will always here to solve them for you. It won't help the problem to be solved. Filter 90% UV, low reflection, wide field of vision;. 0.2mm thick film, lightweight, anti-scratch and durable;. Screen ratio: 16: 9. 90% UV absorption, make your screen bright as new;. PET material, texture and light, good light transmission, clear experience;. Filter 90% UV, low reflection, wide field of vision;. Screen ratio: 16: 9. 90% UV absorption, make your screen bright as new;. If you haven't received ite. 0.2mm thick film, lightweight, anti-scratch and durable;. Filter 90% UV, low reflection, wide field of vision;. Screen ratio: 16: 9. 90% UV absorption, make your screen bright as new;. 99% transmittance, picture without distortion;. Anti-fingerprint and anti-oil, if necessary, can be washed and reused. 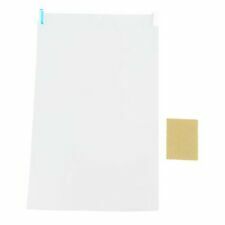 0.2mm thick film, lightweight, anti-scratch and durable;. 90% UV absorption, make your screen bright as new;. Screen ratio: 16: 9. Filter 90% UV, low reflection, wide field of vision;. PET material, texture and light, good light transmission, clear experience;. Highlights Display and device technology continues to advance. Amazing optical technology from 3M diffuses mirror-like reflections to help keep what’s on your screen clear and visible, while providing a layer of protection from dust and scratches.